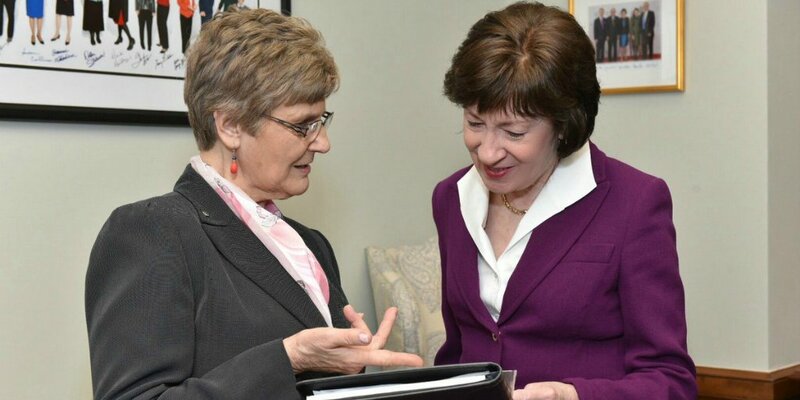 In her column on the opioid epidemic, Sen. Susan Collins highlighted the unconditional love of grandparents and other relatives raising children who face this unanticipated challenge. Her article quoted our GrAND member, Bette Hoxie. Learn more. Fox 56 reported on Pennsylvania lawmakers helping to bring resources to grandparents raising grandchildren. The article featured our GrAND member Joanna Clough! Read the article. Generations United at #AiA18 in San Francisco! 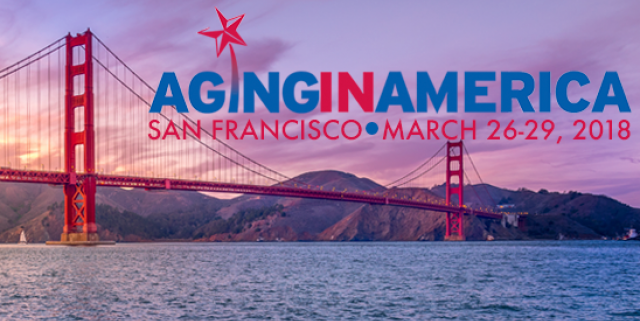 Going to American Society on Aging's conference? Don't miss our Special Projects Director Sheri Steinig! 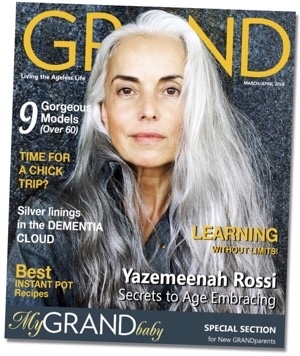 She's leading a panel that includes some of our intergenerational Programs of Distinction on Tues., March 27, 9-10:30 AM. Sheri will also co-facilitate an intergenerational peer group on Wed., March 28, 6-7 PM. Last month, we sent out a link to a national survey of organizations delivering (and those interested in) intergenerational programs, especially shared site where both older and younger people receive services at the same building or campus. The survey is part of a project Generations United is leading with The Ohio State University , thanks to support from The Eisner Foundation . If you already took the survey -- THANK YOU! If not, please try to find 15 minutes to do so. The Survey must be completed no later than March 30, 2018. Your input is very important! The results will be included in a report to be released at an event in Washington, DC, on June 5, 2018. Contact Sheri Steinig and Dr. Shannon Jarrott with any questions. Take The Survey Now. Generations United thanks our members and supporters for their contributions . Together, we are building a world that values all generations! Donate to help us unleash the potential of an "age-amped" society . If you're an organization, join us ! 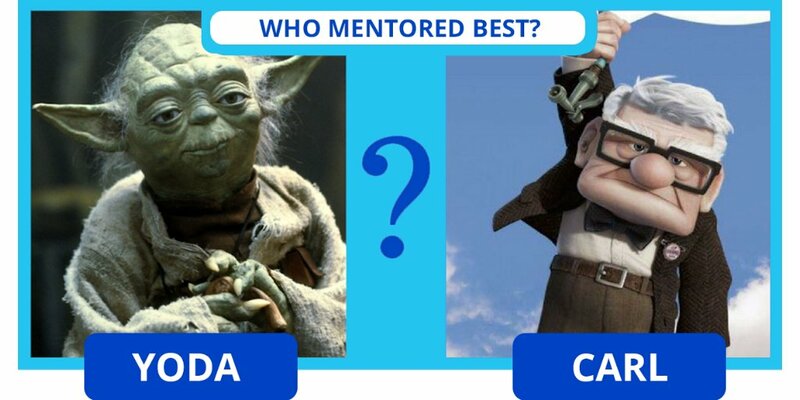 Who's Your Favorite Movie Mentor? Encore.org's Gen2Gen campaign is rolling out Movies & Mentors, a contest to crowdsource the top 10 intergenerational mentoring movies of all time and then convert all that enthusiasm into a raft of new mentors in real life. Check out their top 25 mentoring movies and vote for your favorite to be entered in a drawing for a chance to win $500 in movie tickets. Learn more. A journalist with YES! Magazine is seeking multigenerational families who are interested in being interviewed for a story that examines the growing trend of multigenerational living and affordable, close-in housing for these households. YES! Magazine is independent and nonpartisan. Their reporting spotlights the ideas and initiatives of people building a better world. If you are interested, or know of a family who is, please contact our Communications Specialist Alan King before Friday, March 23. National Foster Care Month is less than 2 months away! Our friends at the Child Welfare Information Gateway funds the National Foster Care Month initiative each May through a partnership with the Children's Bureau, within the U.S. Department of Health and Human Services. They launched a new website that's now live! Check it out and see how you can help enhance the lives of children and youth in foster care. If you're in Los Angeles on Fri., April 20, join with over 300 community leaders, service providers and other key stakeholders at 8:30am in the fight to end homelessness. The event will include distinguished speakers sharing insights, progress and lessons learned. Learn more. Click the image to check out our feed. Based on the French film The Intouchables, The Upside is a touching comedy that revolves around an unlikely friendship that develops between a wealthy quadriplegic man and his younger caregiver, who has a criminal record. Learn more. Bishop's Commons in New York partners with a neighboring elementary school, daycare, and SUNY state college students to foster interaction and friendships with the seniors living at Bishop's Commons. Their events include the "Lullaby Baby Social," where seniors sing and rock infants, who also enjoy floor time. Learn more. Seed Grants Available for Programs that Support Grandfamilies. 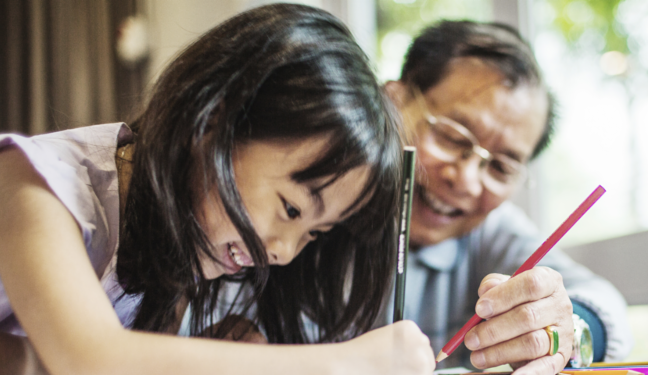 We're thrilled that our long-time partner, The Brookdale Foundation, will award grants of $15,000 each to 15 programs that create or expand supportive services to grandparents and other relatives raising children! Deadline: June 13, 2018. Learn more. 2018 Public Art Challenge. Bloomberg Philanthropies encourages mayors to partner with artists, elevating the value of including the creative sector when developing solutions to significan urban issues. The program supports temporary public art projects that celebrate creativity, enhance urban identity, encourage public-private collaborations and strengthen local economies. U.S. cities are required to have 30,000 residents or more to apply. Deadline: April 19, 2018. Learn more. The Silver Foundation's Transitional Youth Development Grant Program. The Silver Family Foundation supports nonprofit organizations in Oregon and Washington that help youth reach their full potential through mentorship, high school completion, college and post-secondary preparation and experiential education. Programs must offer offer in-depth, long-term investments and opportunities for motivated, low-income youth. Deadline: March 31, 2018. Learn more . Art Works Grant. The National Endowment for the Arts support artistically excellent projects that celebrate our creativity and cultural heritage, invite mutual respect for differing beliefs and values, and enrich humanity. Matching grants generally range from $10,000 to $100,000. Second Art Works Deadline: July 12, 2018. Learn more. Intergenerational Programming in Senior Housing: From Promise to Practice. This report describes findings from a year-long study on the nature and extent of intergenerational programming in senior housing that was conducted by Generations United and LeadingAge, with support from the Retirement Research Foundation. Learn more. 2018 Aging in America Conference. American Society on Aging. San Francisco, CA. March 26-29, 2018. Learn more . National Positive Aging Conference. Masterpiece Living. Philadelphia, PA. April 3-4, 2018. (Generations United members and newsletter subscribers get $100 off the $475 registration fee. Contact Rick Moody for the promo code). Learn more. Save the Date for "All In Together: Creating Places Where Young and Old Thrive. Generations United and The Eisner Foundation. Washington, DC. June 5, 2018. Learn more. 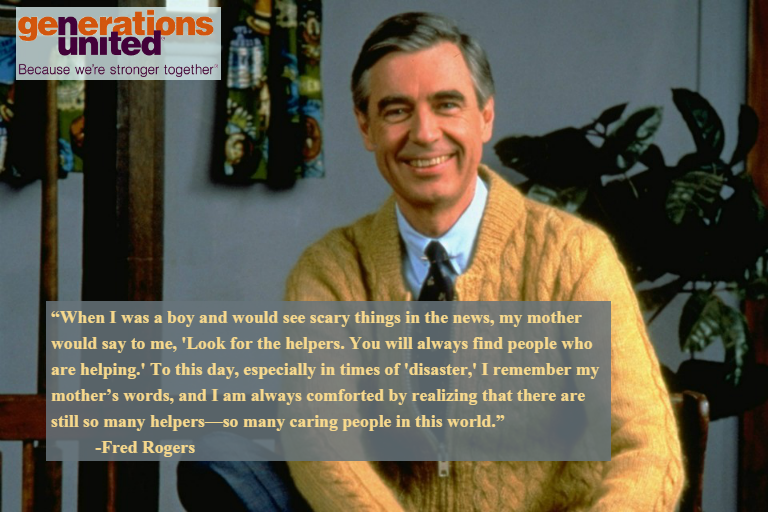 "When I was a boy and would see scary things in the news, my mother would say to me, 'Look for the helpers. You will always find people who are helping.' To this day, especially in times of 'disaster,' I remember my mother's words, and I am always comforted by realizing that there are still so many helpers -- so many caring people in this world." ~Fred Rogers, whose birthday was yesterday (see the meme). He would've been 90.